Looking for a job in Greece? The ability to decipher job ads will save you time and precious energy if you exercise good judgment and a little common sense. Unlike other countries, placing false ads or requesting specific personal characteristics (i.e., Attractive, presentable, under 30, women only or no foreigners) is common practice in Greece, and the Greek ombudsman needs time to resolve unfair or discriminating practices once reported. In addition to this article, I highly recommend reading “How American/non-EU citizens can get a permit to live and work in Greece,” as there is little point looking for a job unless you can get a permit. This also applies to Croatian citizens until July 2015. Greece is not open to all workers, much as your country is not. — “Gentlem@n looking for personal assistant,” aka, man looking for secretary or any woman to handle his affairs and perhaps eventually become his girlfriend. The key word here is “gentlem@n.” If this was a legitimate professional ad, it would list the company or field and/or his title (i.e. CEO, President, Marketing Manager). I once answered an ad like this. A woman asked to see me and then offered me a job without looking at my qualifications or asking questions relevant to skills. When I showed up on Rhodes, I was picked up in a Mercedes by a man named Antonis who owned the “P” (cens0red) Club. I was fortunate to negotiate my way out and have enough money to move to another village. See, “One day on the island of Ios” to read my experience before landing on Rhodes. — “Young attr@ctive women under 30, no experience required,” aka, someone hoping to employ women as sales reps or managers because his clientele is predominantly men; it is a way to retain or increase business. A Canadian girl I know was hired by a financial firm to work as an investment manager, even though she had no experience, was fresh from college and spoke no Greek, which you’d think was required for a place catering to Greek clientele. I was suspicious and told her to not work there. She didn’t listen. Her boss made $exual advances the first week, and she quit. It wasn’t her qualifications in which he was interested, it was her huge bre@sts and innocence in which he hoped to take advantage. Luckily, she had a rich boyfriend to support her and dual citizenship with the UK, so she wasn’t forced to keep working that job for money or to keep her residence permit. — “Single,” is usually a bad sign. If the position requires travel, perhaps requesting someone single is legitimate, but this is rarely the case. — “Photographer seeking female m0dels, cash paid,” an ad that frequently appears only in summertime. Draw your own conclusions. In “Promising Career,” a 32-year-old photographer claimed to have extensive connections and promised a career to up to 1,500 girls seeking to be models as long as they posed in various states of undress. — If you see the same employers with the same ads week after week or at least once a month, there is a reason for it. High turnover, poor working environment, low salary, etc. Every week or every few months in the Athens News (bankrupt) or Skywalker.gr, I see the same hotel, travel agency, ESL school, publishing house and proofreader ads. I interviewed and worked for a few of them, and there are reasons I don’t anymore. The owner of one ESL school interviews people for sport, calling them back 2-3 times, even though there are no vacancies. — Check the phone numbers. Is it a different ad with different wording, but the phone numbers are the same or only off by one digit? Don’t be fooled. Does the ad say “British accent” or UK citizens? That’s because their company is UK-based or texts are written in British English and/or they are likely unwilling to take on English speaking non-EU citizens from America, Canada or Australia. Does the company claim to be associated with Apple Computers, but requests PC knowledge? Inconsistencies are usually an indication of other inconsistencies. — If you answer an ad and secure an interview, it is wise to not agree to type letters, do translations or take tests. Some employers place ads to have certain tasks performed for free by an outsider, when they cannot do it themselves or are too cheap to hire a proper freelancer. A Greek-American friend of mine was asked to translate and type a letter in English as part of her interview. The thing is, it was an actual letter to a client, and she felt used afterward for not seeing that. The company refused to hire an hourly translator and per-page typist for one letter, so they instead placed an ad for 11 euros and had it done for much cheaper by an unsuspecting person interviewing for a job that did not exist. A UK citizen was told to edit a dissertation, with the company saying it was part of a trial before hiring, leading him to believe he would be given the job after proving his skills. In the end, they commended him on being very proficient and delivering just what they wanted but suddenly had no full-time position to offer as advertised. He was offered on-call temp work for which he was never paid on time and no insurance, and he eventually parted company. An TEFL company asked me to take a writing test as proof I could write in English, which seemed suspicious since I am a native English speaker and they were not. I confirmed with former employees that they were looking for new material for textbooks and tested a lot of people to accomplish that for free. I have also been given translations to do as part of a test but could see it was relevant to a real company. When I told them I would do it if they had current projects to show me, it turned out they did not have a position or steady work to offer me, so I never did it and walked out. Employers with any sort of reputation or credibility do not seek out employees this way; they place ads and let potential candidates come to them. 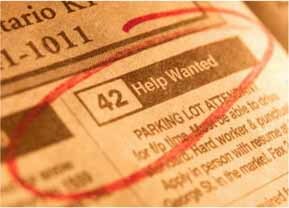 Be suspicious of an employer approaching you on the street or calling you if you do place an ad. How desperate is this person? How good can this job be if it cannot be filled by professional means? Does someone on the street know your qualifications? No, so don’t you think this proposition has some personal motivation? Think about it. Most of the stories I hear are from women who had nothing but boys and men contact them for a date or “practice English” with a f0reign girl. It is a waste of money and time, and it invites pred@tors of different types to make contact or meet you. Are you willing to take that risk? Are you willing to have your privacy invaded and waste your precious time, money on sms and calls that are likely not from employers? You can start your job search with the links I’ve provided in the third column by scrolling down to the heading “Jobs, Homes and Auto Ads in Greece” and clicking anything that interests you. To avoid confusion across nationalities, I don’t use the terms job classifieds or mikres aggelies (little notices), I just refer to them as ads. Many sites are bilingual, with the best jobs usually listed in Greek. Ok, I’ll talk about my experience with “Don’t Agree to Perform Tasks for Free”. I’m an IT guy looking for a job here: Bsc, Master, working experience in my country, but no experience here and low greek knowledge. One week ago I went to an interview with a company in Athens.. They were part of an UK travel agency and they wanted a programmer. The guy in the interview told me that in my CV I can say whatever but I have to show it off. So he sent me a “test” to do in one week. I guess my mind was neglecting the idea of that guy tricking me. But, after he sent me the test, a lot of questions went into my head. I’ll tell you how this finishes, but after reading your article… I’m not very optimistic. Hi there! I’d love to know how this turns out because it’d be nice to know that your risk paid off in a positive way. I have several friends who interviewed for IT jobs, and the boss asked about their skills (much like your situation) then tested them, but it was done in the office on the spot with another tech watching and had a time limit (an hour or so). But 99% of techs I know were interviewed and hired without such testing. When they get on the job, it becomes very clear very quickly if the person lied and the boss has no hesitation to fire them. – Me: “ok, I uploaded it also to your server, so pick it from there”. Another week, and no answers. I contacted them and they told me “We will send you an email tomorrow.” That was 5 days ago. Graffic: Too bad you couldn’t put in a code that won’t allow them to use the info you created after a few days. That way if they are legit, they wouldn’t use the info anyways because that would be unethical. And if they are unethical and try to use your work (sneaky), they wouldn’t be able to utilize your work. As a side note, I visited Thailand in 1995. And there I saw (english) job ads specifying women between the ages of 18-30 for “receptionist” jobs. No mention of minimum typing speed in the ad 😉 So for all the realities of Greece – at least you didn’t fall in love with Thailand! Maybe you should read my story, “One day on the island of Ios.” You’ll see that it happens here too. FMS, if what you say is true, can someone with time on their hands pursue this in court just to make a point? Or would this result in nothing? I said in my post that it has been illegal for some time, so FMS is correct. One would first lodge a complaint with the Greek ombudsman because the violation happened in Greece. If he doesn’t do something, you can then go higher to the EU with Solvit. The processes are detailed under the category, ‘Where to file complaints‘ on this site. If you actually work for someone who violates your rights, you would go first to the epitheorisi; if there’s no result through that channel, then you would hire a lawyer and go to court, and this could last for years at your expense. What a refreshing site and a point of view as well as educational. I was born in greece and was fortunate to grow up in a different country. I am in full agreement with the age discemination issue that our friend posted above. I do not want anyones money or anything in return. it is time that the greeks started behaving like a civilized country and not just the gift of the gab. Hi Kat, just saw this article again. Of course, I’m sure you are exempting the Athens News where they definitely advertise jobs for specific nationality. I can’t count the number of times Greek employers are looking for “Phillipino girl for babysitting, maid etc”. This of course, could be the exception? I think you are incorrectly interpreting what I’m saying. I’m saying these ads are illegal, and the Athens News and other publications allowing them is against the law. And have you noticed that these ads ask that candidates already have an existing permit or authorization to work in Greece? On a related but separate subject, have you ever seen an ad that specifically says, “jobs for Americans in Greece” or “American jobs in Greece”? That would be the equivalent of finding an ad in the USA that says, “Italian jobs in America.” Or how about the phrase, “Will sponsor work permit for non-EU citizen”? Never. People use these keyword searches all the time, believing that there is some employer advertising specifically for Americans and non-EU citizens in an EU country — it’s just not true. Why would anyone advertise a desire to muck through huge amounts of bureaucracy and put up a significant deposit for a person they don’t know? Yes, I think the phrase “there is no such thing as” is what I misunderstood. Thanks for setting me straight. When I said, “there is no such thing,” I mean that there aren’t separate jobs for foreigners or jobs for Americans, and separate jobs for Greeks. And yet, this is how people search for things on the Internet: “law jobs in Greece for foreigners,” “English teacher jobs for Americans in Greece.” Jobs are jobs. Thank you for your input. I’ll refine the language. Before you decide to go for a job, be sure that your employer will pay you the transport costs. And be sure for the payment per mont. With taxes or not. Oh.. and always talk about the conditions of job!It is very important..